What Is Managed WordPress Hosting and Is It Worth the Extra Cost? What is Managed WordPress Hosting and When is it Worth the Extra Cost? Your WordPress site is a valuable asset, so you’ll want to make sure it’s secure, runs efficiently, and is in the best hands possible. While managed WordPress hosting can help with this, it’s important to know that it isn’t an absolute cure-all. In this article, I’ll explain exactly what managed WordPress hosting is, when you should choose it, whether it’s worth the additional cost, and the things you’ll need to keep in mind when choosing a hosting service (plus a few recommendations). First things first, what exactly is hosting? Well, simply put, hosting (or web hosting) is a service you need to store data and make your website accessible online (i.e. accessible to people using the internet). Hosting is a service you buy from a company. To make the best decision possible, you have to understand what various hosting packages contain and how they affect your site. In some cases, this includes only the bare minimum — really just a publicly accessible place to store your website online — while other packages may include features that take the burden of security, performance, and general site management off your shoulders. The more features and services a hosting plan offers, the more likely it is to be referred to as managed hosting. When such hosting plans are specifically tailored to and optimized for WordPress (in terms of everything from the technical hosting environment to the more general site management features), we refer to them as managed WordPress hosting plans. Most packages on offer today would be considered managed to some extent. Why? Because running a website is actually a lot more complicated than you’d think. Many people can create and run a WordPress-powered website without too much trouble, but how many people have network management skills, or can create Nginx files and/or apply operating system upgrades to their own servers via SSH? All websites are stored on computers, all of which have memory, a processor, a hard drive, ports that handle internet traffic and so on — and they all need to be taken care of on an operating system level. If there’s a bug in the operating system, it has to be addressed. If malware has made its way into the machine, it needs to be cleared — and that’s just scratching the surface of all the day-to-day things that need to be done to keep your site ticking over. This is a level of management that almost all hosts offer nowadays. In fact, it’s in their best interest to do so. Most users have absolutely no need to control their low-level hosting environment — and, if given the opportunity to do so, would mostly likely make a mess of things pretty quickly. This would lead to their website going down and blame most likely placed on the host, who would then likely be tasked with getting things up and running again. In other words, by managing your server for you, hosts kill two birds with one stone: Saving you from yourself, and saving themselves from hordes of support tickets. Let’s call this type of management server level management — and, unless you specifically search for bare metal servers, you’ll most likely see all such features included in your chosen hosting package. There is, however, another branch of managed hosting services that allows you to perform many common higher-level tasks on your server, for example website backups. Let’s call this second branch of services application level management. Application level management services are the type offered in managed WordPress hosting plans. Features will likely include: Server-level caching (and many other performance-specific services); automated daily site backups; core WordPress updates; website migrations and malware scanning; the ability to quickly and easily create staging sites; on-demand WordPress-specific one-click backups, and more (we’ll go through many of these in a moment). In essence, the overwhelming benefit of a managed WordPress hosting environment is that everything about it is completely tailored to running WordPress. General hosts (i.e. the type that host all kinds of websites running on all kinds of platforms) can’t truly optimize their systems to one specific platform because they need to be able to run so many different types of software. The same server may be running a WordPress site, a Joomla site, a custom-made site using Laravel, a Node server, and so on. There’s just no way to optimize for everything all at once. Managed WordPress hosts, on the other hand, work exclusively with WordPress, and, as such, they can tailor all their servers — from the operating system and file system to command line tools — for optimal performance. A great example of this type of optimization is website caching — something that can be made to work much more effectively at a server-side level than it can by simply using front-end WordPress plugins. Security is another sector where managed WordPress hosting excels. It’s much easier to build a system that’s secure when you know exactly what’s running on it and what the weak points of a specific software (in our case, WordPress) are. Because hosts understand how WordPress reacts when someone tries logging in with incorrect details, they can build specific tools into the server that lock out any malicious attempts automatically. The result of all this is a significantly faster, more secure, more stable hosting architecture. A good analogy is why your TV won’t crash, but your PC may do so from time to time. Even though modern TVs have little computers inside them, they are used for one, very specific, task. PCs, on the other hand, support a huge variety of operations — making them prone to unexpectedly seizing up or going wrong in some unforeseen way. Managed WordPress hosting systems need only concentrate on a single system: WordPress. This allows them to use WordPress’ various strengths and dampen down its weaknesses, resulting in an environment that does one thing extremely well. At present, managed WordPress hosting companies offer a number of different features. The following is a selection of some of the most useful ones. Automatic updates have been a feature of WordPress for quite a while now. However, managed WordPress hosting can take these a step further by automatically applying security fixes as soon as they come out — in the same way as they apply major WordPress version updates to sites. Where possible, some companies will even notify you in advance of such updates to ensure you always have ample time to prepare. With almost all managed WordPress hosts, using the latest version of WordPress is usually enforced. This not only makes your website more secure (by closing any known security holes as quickly as possible), it also makes the host’s network more secure as a whole — the benefits of which will trickle down to you as a customer (more overall uptime, fewer attacks, etc). Your mileage with support will vary from company to company, but I think it’s safe to say an average managed WordPress host support will (or at least should) know significantly more about WordPress than a regular non-specialist host’s support. Again, since WordPress is just one system, it’s a lot easier to solve any problems that arise. A feature that allows you to get up and running with a new WordPress site in seconds. When you need a new site, a complete WordPress install (and the necessary database connection, etc) will be created automatically. All you need to do is fill out a short form with some admin and site details. Easy! This is a great feature for developers and/or site managers. A staging environment starts out as a perfect copy of your existing site, which is only accessible to you personally (or it has an obscure URL), and is super handy for testing out new plugins/themes or updating/modifying code before applying any changes to your live site. Regular hosting dashboards aren’t usually very user-friendly because they don’t actually know which software you’re using. As a result, some will give you a whole host of options — many of which simply aren’t applicable to WordPress – while others are so sparse that all they have are a few basic links to manage your database or your files. Managed WordPress hosting dashboards, on the other hand, can do all sorts of useful things, such as provide you with individual statistics on usage/visitors, give others access to your account, show you if you have out-of-date plugins, tell you exactly which version of WordPress you’re using, and so on. As mentioned above, because of the predictable nature of the WordPress environment, a much more efficient server-side caching solution can easily be implemented, and can dramatically impact your site speed by making sure each page is cached as effectively as possible and for as long as possible. With better caching, both the website owner and the hosts are happier. This is because, by using the very best caching system possible, a website will run faster and require fewer server resources, which, in turn, will help the host save money. We’ve already covered some basic aspects of security. Auto updates, better support and (usually) daily backups all contribute to security, but there’s actually a lot more going on behind the scenes with managed hosting. For example: Strict WordPress-level policies. Let’s assume that a popular plugin announces it has a security leak. A general host can’t do anything about this — more likely, they won’t even know about it! WordPress hosts continually monitor such news and may ban the plugin from being installed immediately. If it’s a particularly nasty security issue, they may even deactivate all of these plugins straightaway (in which case, they’d contact site owners ASAP). While this may cause some website owners to grumble, it’s a lot better than websites being compromised and/or crashing. In short, when it comes to WordPress-related security issues, WordPress-specific hosts can monitor things more easily and react more quickly and efficiently than their counterparts. So, with all these great features and all the nice things I’ve said so far, could there be any downsides? Well, of course, there are always a few. I wouldn’t consider this a downside as such, but it’s still worth mentioning. There’s absolutely no way you can get any other site on a managed WordPress host. Some of them give you more freedom than others, but, although you may technically be able to also run a Joomla site, for example, I pretty much guarantee it would be taken down as soon as it were discovered. As I mentioned above, WordPress hosts have stricter policies than their counterparts, resulting in a better architecture that more than makes up for any inconveniences (in my opinion). That said, some plugins may be banned — with good reason. Third-party caching plugins, for example, are typically not allowed, and neither are many other plugins that have a bad track record, often because of security and/or performance concerns. On the other hand, is this really so bad? After all, no one wants a plugin that’s insecure or eats up all their available site resources/memory. Creating a quality managed WordPress hosting experience requires considerable know-how, technology and money. The machines that house your websites tend to be a lot more powerful, and the cost is passed down to the humble site owner. There are some low-cost options out there, but, in general, the lowest you’ll want to go is about $30 per month. The next tier is usually around $100 per month, with prices generally rising pretty steeply after that. When Is Managed WordPress Hosting worth the Extra Cost? In my opinion, it’s black and white: If you can afford it and only need to run WordPress, go straight for managed WordPress hosting! There are some exceptions, which I’ll get into in a moment, but this is my general advice. Let’s look at cases where managed WordPress hosting is not worth the extra cost. Are Your Sites Test or Development Sites? If you’re creating a quick test site or developing something online, you don’t need all the power that comes with a managed package. A shared host will likely have more frequent downtimes and be significantly slower, but this shouldn’t be an issue in this situation — and the $5 per month cost will be much easier to stomach (especially if you’re developing multiple sites/ideas at the same time). We’ve all been there: Sometimes the extra few dollars is just too much. If you have no choice, don’t fret too much — especially when just setting out. If you’re on a tight budget, saving money early on and switching hosts when you can safely afford to do so is a reasonable tactic (unless performance really is critical for your site/idea from the outset). Do You Have Mission Critical Non-WordPress Components? Some websites may run on WordPress, but have some outlying code that the site simply can’t function without. In these situations, you’ll need to use a high-quality general host that allows you to run anything freely instead. If you have a low-traffic site that can live with a little downtime (a personal site, perhaps, that you’ve no intention of ever turning into a business), you simply may not need managed WordPress hosting at all. Sure, we all love seeing our website up 100% of the time and loading in less than a second, but if you have a personal blog that’s visited by only a thousand or so people a month does it really make a difference if it’s only up 99% of the time and loads in two or three seconds? Do You Have Many Sites? Most hosts limit the number of WordPress installs you can have. 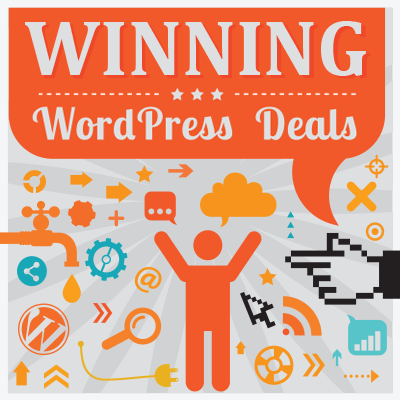 With managed WordPress hosting, the deal is: ‘Sure, you can have 30 sites, but hand over $350 a month please!’ If all of those sites are money-makers that’s fine, of course, but be prepared to pay per site (or opt for a special multi-site deal). If you do have a high number of sites, it may be better to leave the low-traffic ones where they are, and only use managed WordPress hosting for the main ones. In conclusion, I would strongly advise going over the five points above. If your answer is ‘no’ to each one, my advice is to choose managed WordPress hosting every time. Before we get to our list of top managed WordPress hosts, I’d like to caution you against some of the common pitfalls of choosing this type of host. Some hosting companies, such as SiteGround, boast managed WordPress hosting on their website, but they aren’t really ‘true’ managed WordPress hosts. SiteGround are indeed very capable hosts with great customer support, but their WordPress infrastructure is essentially the same as both their general shared hosting services and their Joomla architecture — not something we’re looking for. This is a common pattern with many hosts, just because they advertise ‘managed WordPress hosting’ doesn’t necessarily mean they’re as ‘managed’ as more specialist hosts. Another rule of thumb: You simply cannot buy good hosting for only a few dollars a month. If something seems too good to be true, it almost always is — especially in the world of hosting. Note: For the below list of recommended managed WordPress hosts, I’ve only included companies that have architectures built especially for WordPress, and features that support the platform exclusively. Managed WordPress hosts will generally try to charge you for the exact resources (memory and disk space, etc) that your site uses. However, it’s important to also keep an eye on bandwidth/monthly visitor count too, since some hosts may charge an additional fee if you go over your allotted monthly allowance. Some hosts will give you a fixed amount of bandwidth, while others will give you a monthly visitor cap. I’m personally not keen on the latter, and even think it slightly unfair. My blog, for example, may use 10KB of bandwidth per page load, which means I use up just 1GB of bandwidth for 100,000 visitors. A very large news site that uses 650KB however, would use up a whopping 65GB (i.e. way more server resources) for the same number of monthly visitors! The true cost of hosting is incurred through bandwidth, not visitor count, which is why I think the visitor-based pricing model is far from the best way of going about things. 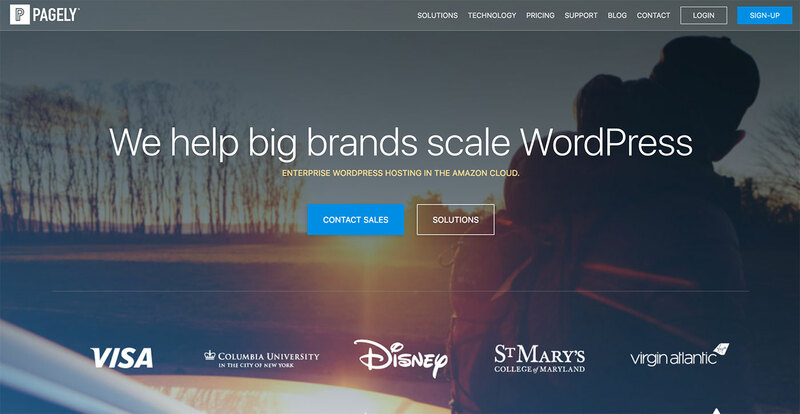 Finally, let’s take a look at some of the best managed WordPress hosting companies on the market. The following companies all have good track records, know exactly what they’re doing and specialize in hosting only WordPress-powered websites. 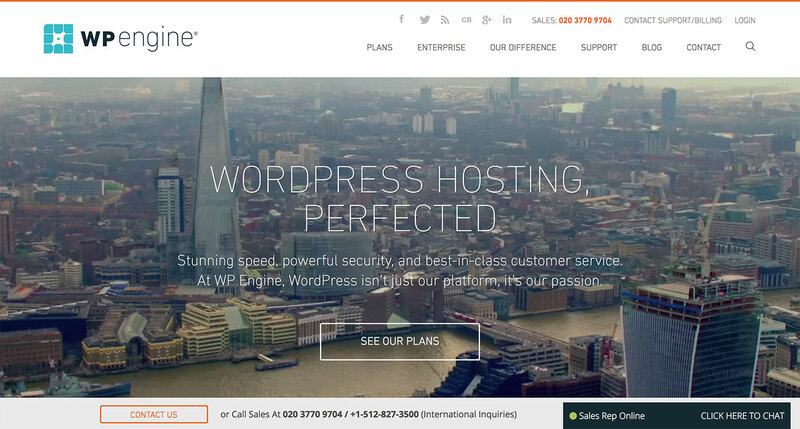 WP Engine are one of the largest and best-known managed WordPress hosts — and were originally part-funded by Automattic, the company behind WordPress.com. Their three most common plans will set you back $29, $99 and $249 a month. 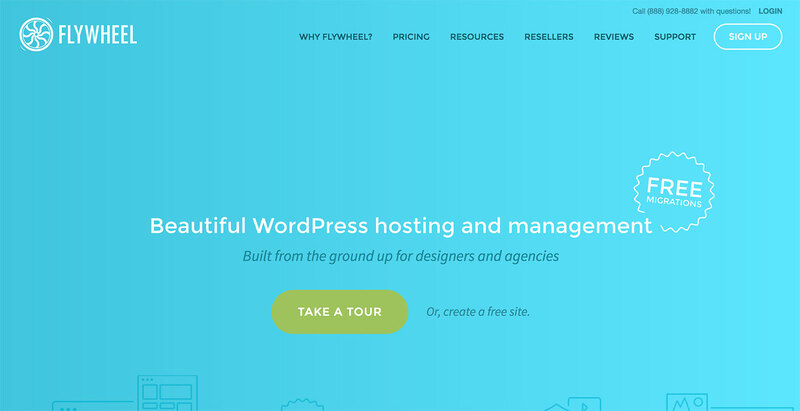 I’m not keen on their visitor-based pricing model, but they are one of the biggest managed WordPress hosting companies on the market, and are indeed both highly rated and very reliable. 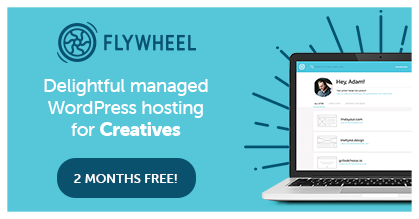 Flywheel are one of my favorite managed WordPress hosts (and are, in fact, the ones used to host this very site). They have the cheapest entry-level truly managed WordPress hosting package, offer a heap of unique features and free site migrations, and boast impressive performance and one of the best-looking dashboards on the market. The cheapest plan contains correspondingly low resource usage but clocks in at a friendly $15 per month. Their higher tier single-site plans will cost you $30 or $75, while bulk plans are available for $100 and $250 a month. Along with Flywheel, Kinsta are one of my favorites. They became the largest managed WordPress hosts in Europe just two years after they started, and have continued to be at the forefront of technology by putting their whole infrastructure on Google Cloud. Kinsta are technically great, but are, however, one of the most expensive options. Their cheapest plan costs $100 with $200, $300, $400, $600, $900, $1,200 and $1,500-a-month plans available out of the box. Pagely are another large company with an impressive list of clients — Twitter, Disney, Visa and Facebook to name a few. Their ability to scale is super impressive, although they also charge a relatively hefty price. Their cheapest plan is $99 a month, which allows for five sites. Their next tiers are $499, $999, $1,249 and $2,249 a month respectively, with an Enterprise option starting at $1,999 a month. 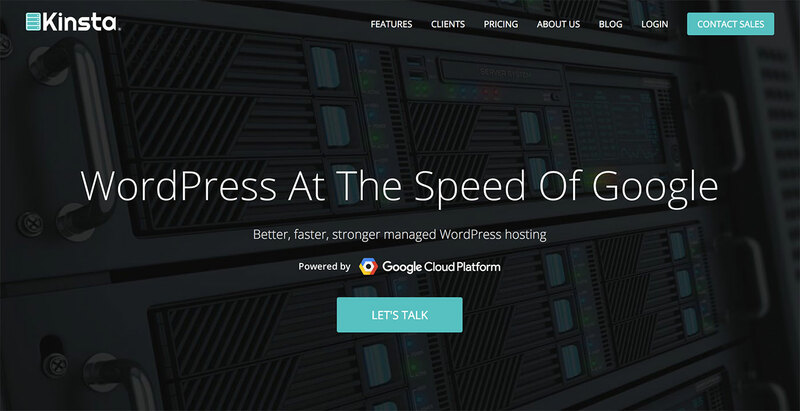 The pricing makes it pretty clear that managed WordPress hosting can become relatively expensive quite quickly. These companies are so good at optimizing WordPress, however, that your website will tick along exceptionally well on servers with considerably lower specs than your current shared or VPS. Because of the added performance alone, the $29 range is a no-brainer. If you have a site that’s important to you — especially if it makes money — you should almost certainly move it to managed WordPress hosting (see above for a list of circumstances when it isn’t the best option). If you’re currently paying about $5 per month for a general shared hosting plan, you’ll be paying more per month should you switch, but, in return, you’ll get a faster and more reliable website. In fact, even if you’re currently on a $50-a-month VPS, you’ll also likely do well to switch to a $30-a-month tier — and even save yourself money in the process. By all means, ask your potential managed host and tell them your data usage stats, but you’ll likely be well within the limits in most cases. If your site doesn’t fit into the $30-a-month range, I’d seriously consider the switch to the $100 tier for the same reasons as the shared crowd. You’re essentially making an investment in the future of your website/business, and may well see equally valuable performance gains almost straight away. The higher price ranges (from $250 to $1,500 a month, for example) may seem pretty outlandish to most small-to-medium sized businesses, but, for many large sites with hundreds of thousands of visitors per month, this amount actually isn’t anything out of the ordinary. After a certain volume, you simply have to factor in higher hosting costs. Indeed, there are plenty of self-managed VPS solutions that live in the $2,000-plus range — not to mention getting your very own bare metal server! Even if you have a large site, the optimizations that managed WordPress hosting offers can provide a huge benefit — I’ve actually witnessed a managed WordPress host shave $3,000 a month from a large client’s hosting bill simply by optimizing their file storage practices! The Bottom Line: Do You Need Managed WordPress Hosting? The conclusion of this article is that yes, assuming you’re running only WordPress, you should almost definitely go for managed WordPress hosting as opposed to shared, VPS or bare metal. In fact, for the performance boost alone it will likely make financial sense to do so for the majority of WordPress business sites — after all, how many more conversions would your site make if it loaded a second or two faster (think customer satisfaction, SEO benefits and so on). In short: Using managed WordPress hosting not only gives you a finely tuned environment in which your site will be better equipped to thrive and withstand traffic surges, it also provides peace of mind in terms of additional reliability and security. In some very specific scenarios, however, you may not have the option to go with managed WordPress hosting — for example, because the necessary funding simply isn’t available, you need to run more than just WordPress, or your site is really only for personal use where things such as better performance are of no real concern. For the vast majority of sites however, while managed WordPress hosting may be considerably more expensive than shared hosting (and even a tad more than general VPS hosting), the benefits really do justify any additional expense. Using managed WordPress hosting? Thoughts?